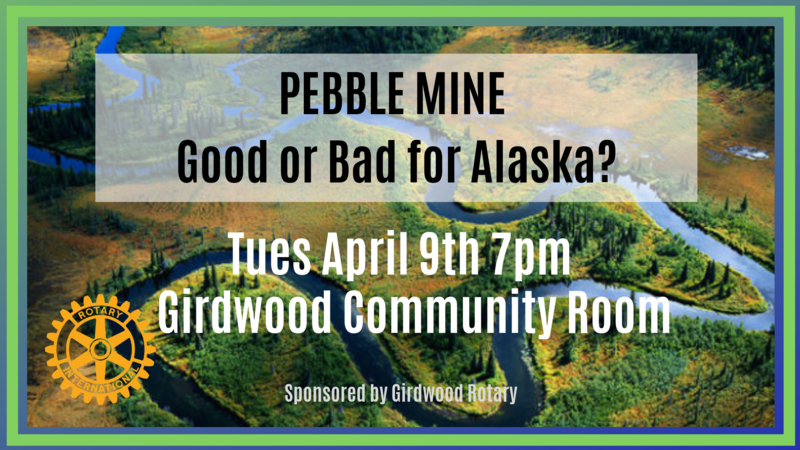 On April 9, 2019 the Rotary Club of Girdwood hosted a forum on the Pebble Mine Project. 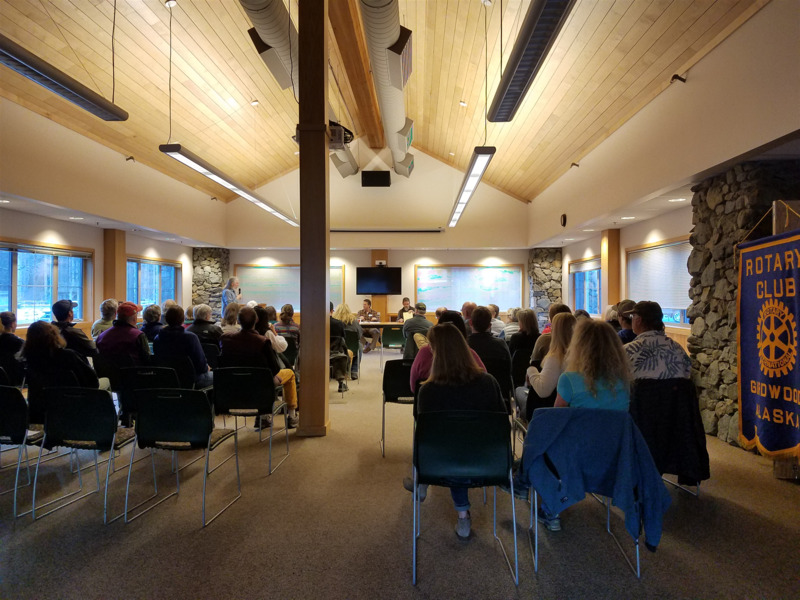 Along with representatives from the Pebble Project, we also had Brian Kraft, a local lodge and fish touring company owner answering questions and debating the issues related to this project. 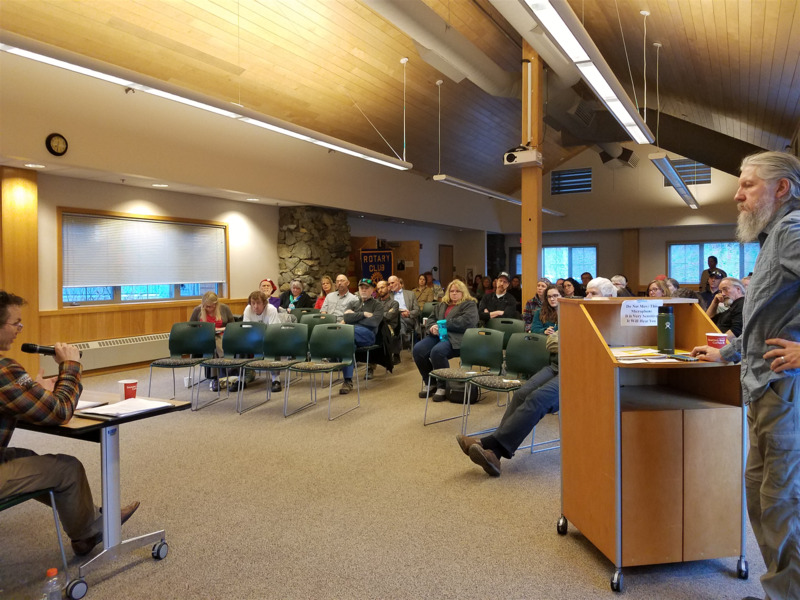 The Army Corp of Engineers currently has a public comment period open at https://www.pebbleprojecteis.com/.